Do you and your students already know how to diagram sentences? If you're looking for a fun, easy way to maintain everything that you've learned, this program is for you. 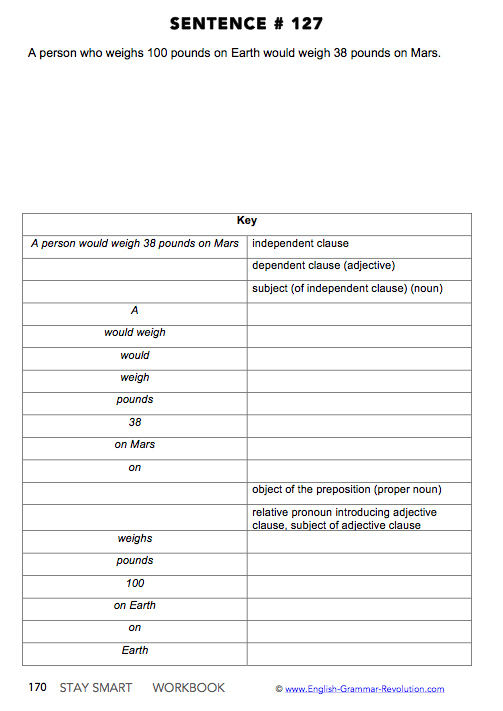 You'll find 188 interesting sentences to diagram, answer keys for each sentence, and extensive review material. The front of Stay Smart includes an extensive review section. 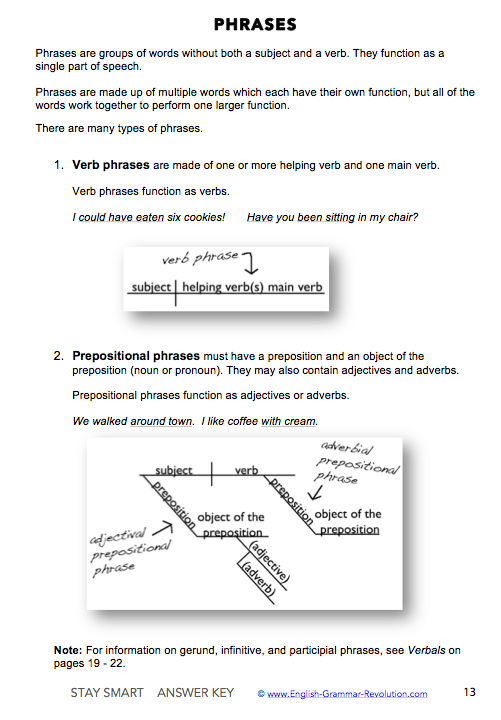 Here are two of the review pages on phrases and verbals. 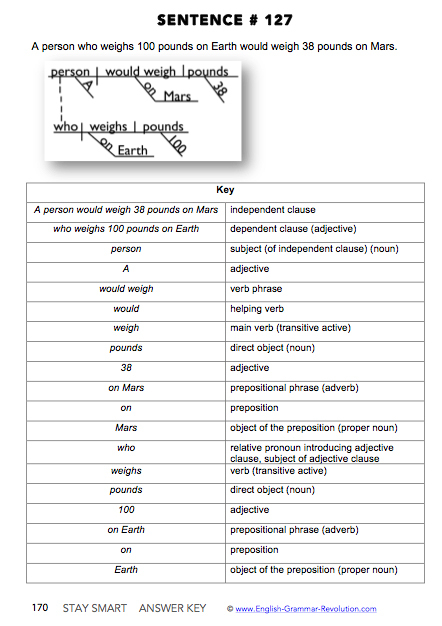 After the review section, you'll find 188 fun sentences to diagram! 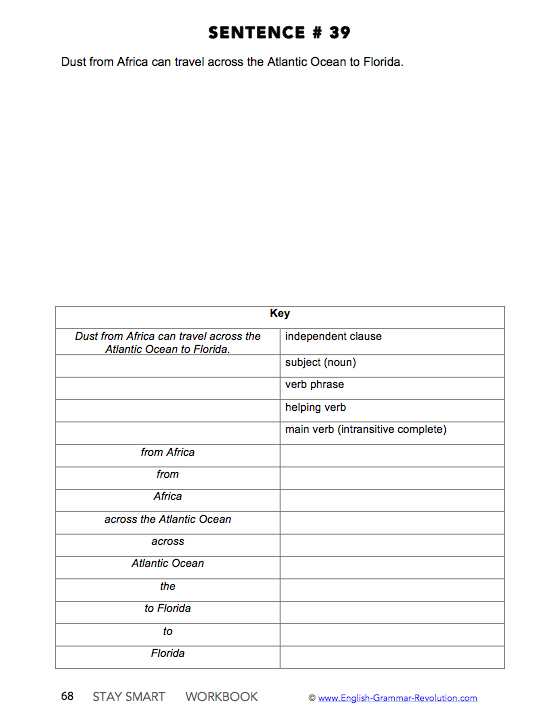 The Stay Smart Workbook includes room for you to diagram each sentence along with a half-completed chart for you to fill in. The Stay Smart Answer Key gives you all the answers! 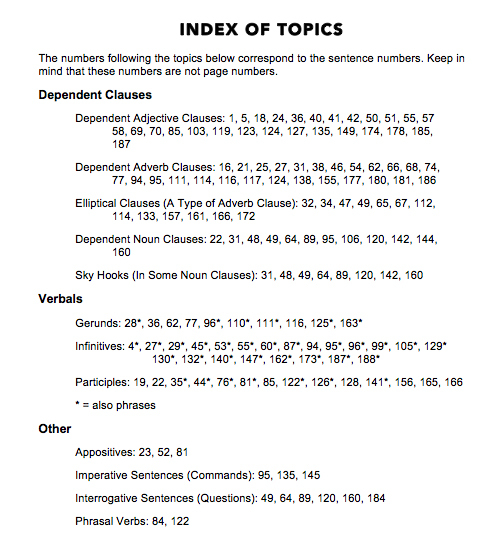 You'll find an index of topics in the back in case you are looking for certain types of sentences. I look forward to helping you learn and love grammar! I've already done the first 100 sentences of Stay Smart, and I'm learning a ton. It's putting a polish on the great deal of grammar work that I've done in the past month in preparation for writing a book. 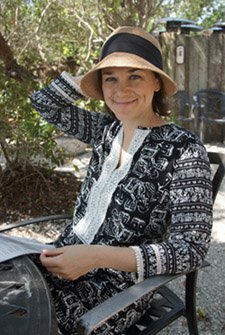 I'm a good writer, but I wanted to know why. Thanks again. This is just what I was looking for. My 9th and 10th grader are whizzes at diagramming and we are stopping formal education on this skill, but I wanted them to continue to practice without my having to come up with sentences every day for them. My 10th grader has already commented on how she's glad we are ending our other curriculum and switching to a maintenance mode. She said, "These sentences are much more fun!" 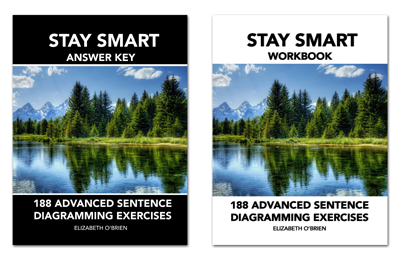 I bought your Sentence Diagramming Exercises and Stay Smart Program. Now, whenever I see a sentence, I start diagramming it so that I clearly understand how the terms are related. It's simply amazing!!! "I purchased these exercises and answer key books this summer to prepare for teaching diagramming this fall. It was the best money I ever spent, and by doing a few sentences every day, I am ready to tackle pretty much any sentence that comes my way." "After studying Stay Smart for almost twenty days, I realized my mind started functioning differently. 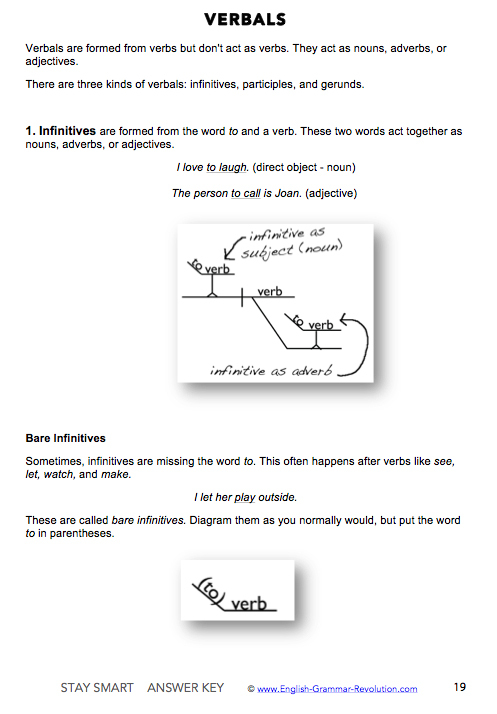 Whenever I see a sentence, I start diagramming it visually so that I clearly understand how the terms are related. It's simply amazing!!!" It brought back all the rules I learned from the nuns in grade school. 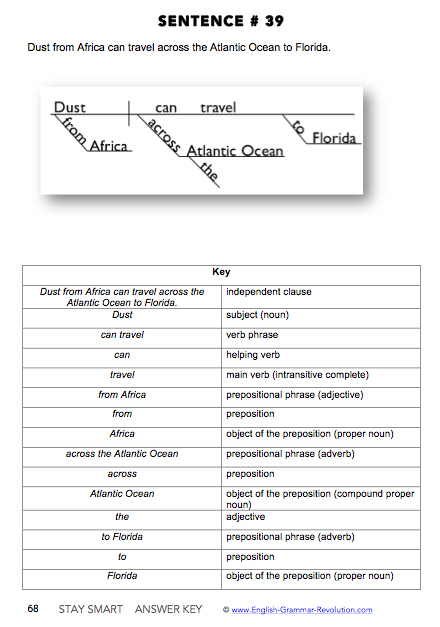 It not only diagrammed the sentences, it cited the part of speech for each word. Well done.